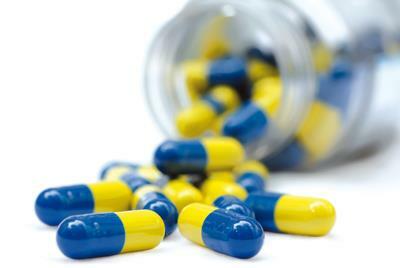 Authorised prescription requests will be dealt with within two working days using the repeat order sheet. Patients are asked to make certain they tick the medication they require on the request form, insert the date, and sign the form before forwarding it to an approved pharmacist (see list on the form and allow extra time), posting it to us with an enclosed stamped addressed envelope or placing it in the appropriate ‘drop off’ box at reception. You can also order repeat medication online via the link at the top of this page. Click here to read how to register for this service. The Elms is now live with this service (EPS). If you sign up for EPS you will no longer receive a green form when a GP prescribes anything for you. Also if you request any repeat medication this will automatically get sent electronically and securely to your preferred chemist, meaning you will not have to pick up a green hard copy of the prescription from the surgery first. Firstly you need to nominate the chemist you would like the prescription to go to, this can be anywhere in England as long as they are also set up with EPS. This can be done easily at the surgery or when you use our on line service to order your repeat medication, or you can pop in to your chosen pharmacy. Generally patients will pick their regular local chemist but if you work in London you may find it easier to pick your prescription up from a pharmacy near to your place of work. You can change or cancel your nomination by simply telling your GP surgery or the chemist. If you sign up directly with a chemist, they will need you to sign a form which they will keep on file. They should only sign you up if they have your full signed agreement. Once you have nominated your chemist you can order your repeat medication in exactly the same way you have always done either through our website, in person or by post. For a repeat prescription please still allow 2 full working days for the admin team to process your request. If a clinician issues your prescription during a consultation this should be available at your nominated chemist within an hour of your appointment. Please double check with the clinician that we have the correct nomination details. Please be aware that occasionally some medication is not available through EPS. This includes Private prescriptions and some controlled drugs. These will therefore be generated on paper as before. Please click here for the patient leaflet. Yes - if you have a stable condition and you don’t want to visit the practice every time to pick up your prescription. Yes – if you often collect your medicines from the same place. YES. Your prescription will be seen by the same people e.g. GP practices, pharmacies and fraud agencies that see your paper prescriptions now. There is a full tracker system available at the surgery and at the nominated EPS chemist. This is new clinical software and processes for the surgery so please be patient as we get used to the new system.